Attractive plant with glossy green leaves, speckled with purple. Long lasting pink-purple flowers are produced in throughout the year . It is native to Fiji and can be used as a house plant. 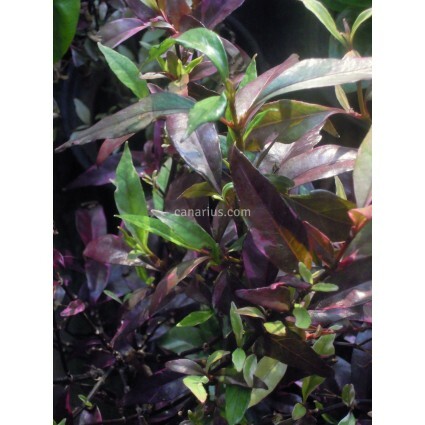 Attractive plant with glossy green leaves, speckled with purple. Long lasting pink-purple flowers are produced in the warmer months or year-round. It grows in well-drained soil, in full sun to half shade. Plant in garden beds or containers for a spectacular display. Pseuderanthemum laxiflorum is native to Fiji and can be used as a house plant. We ship a robust, sun-grown plant, cultivated in a 16-18 cm pot, of variable height of 40-70 cm. This is a fast growing species and it is produced once or twice a year so the specimens can be 40-120 cm tall. We will always try to select a compact robust plant for you. In some cases we will prune the plant before shipping. This is because some plants are too tall to fit in the box and also because the upper branches are too tender, so pruning will be helpful during the transit. It will surely grow back soon because it is a fast growing plant, commonly pruned in gardens. Depending on the season, this plant can be sent bare-rooted, with the roots wrapped in moist sphagnum or perlite. Be prepared to plant it in a pot of at least 18 cm, filled with good garden soil and place it in full sun, at 16-30 C.
We ship worldwide. Visit THIS LINK and see pictures of our plants on the packing desk and learn more about what we ship!